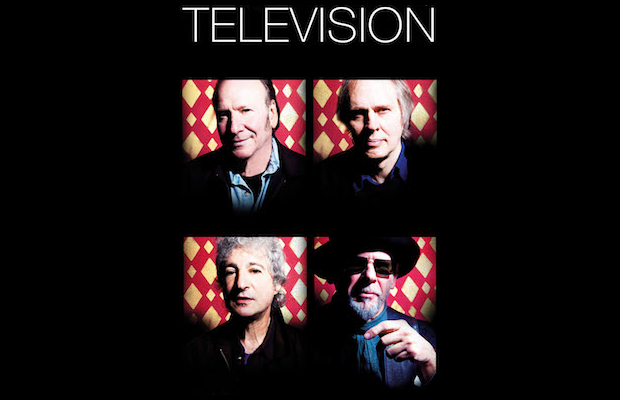 Television Moves from Marathon Music Works to Exit/In | Catch Them March 31! We’re going to level with you here, Nashville. We love it when you force shows to change venues because the space can’t contain your excitement (such as the recent cases of The 1975 and Bastille). When the opposite is true, we feel inclined to give you a stern talkin’ to. We’ve been raving about legendary post-punk outfit Television, and their planned stop at Marathon Music Works since last month, and we’re so excited for the show, which also features local synth pop singer Tristen performing a solo set as the opener, that we’re even giving away tickets. Though the concert’s still a go for this Monday, March 31, it’s now being shuffled from Marathon to the more intimate space of the Exit/In. This is great news for Television fans, since Exit is the decidedly better-sounding and more up close and personal space, making it an even more unique opportunity to catch some living legends in action. We’ve told you about the show at length in previous posts (head here and here for a reminder), so we’ll leave you with this plea: let’s show Television proper Nashville welcome, and prove why we earned the nickname Music City, by selling this thing the hell out (buy your tickets here). DON’T MISS IT!